On hot summer days like we’re having now I hate wearing heavy gloves with lots of padding when I ride. I don’t want hot hands unless they belong to a supermodel rubbing me down after a winter ride! 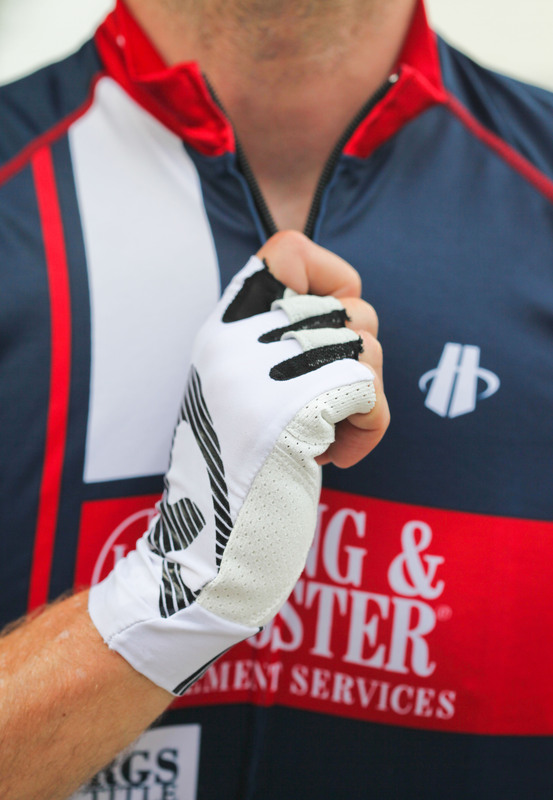 I prefer gloves that are light and aero, give me some additional grip, and look as pro as hell. I was pleasantly surprised when Joao Correia (former Cervelo Test Team rider) from InGamba bike tours sent me a black pair of Giro LTZ gloves to try out last year. I loved them so much that early this summer I ordered two pairs of white ones that go nicely with my team kit and white sunglasses. 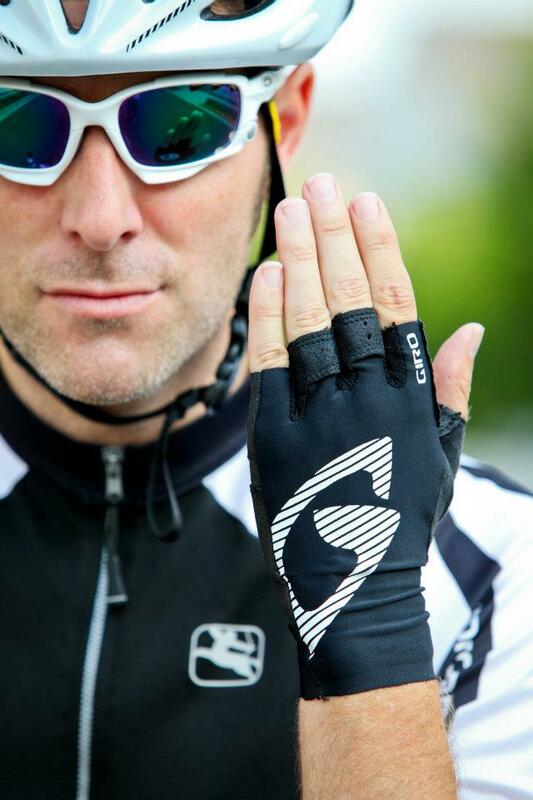 Giro advertises the LTZ gloves as ‘a pro-level, minimalist glove that offers ultimate ventilation and bar feel’. I think that is a pretty accurate description. There are no velcro straps to fiddle with. 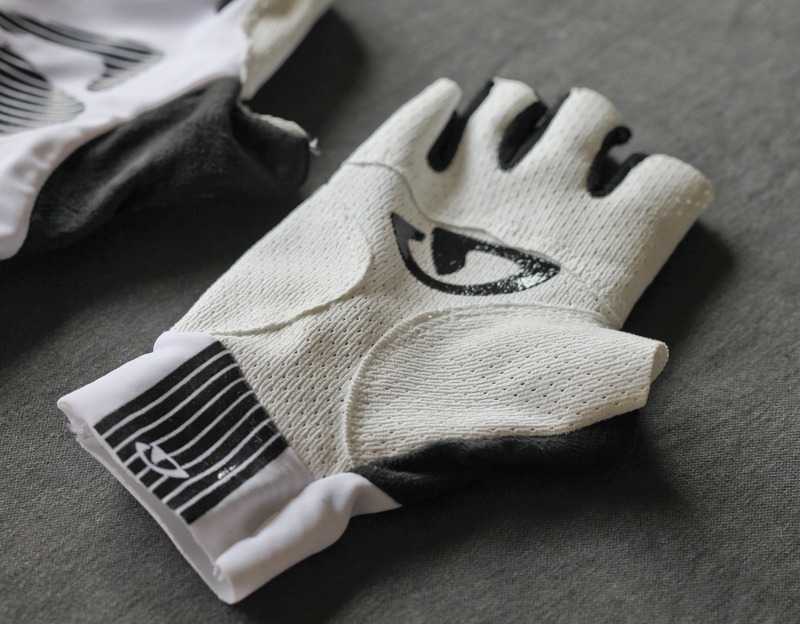 They are made from moisture-wicking lycra on the top and ‘Cool Skin’ synthetic fabric on the palms which make these gloves very breathable. The two middle fingers have pull tabs that allow you to remove the gloves fairly easily. Silicone gripper has been added to the palm area for additional traction when holding the bars. 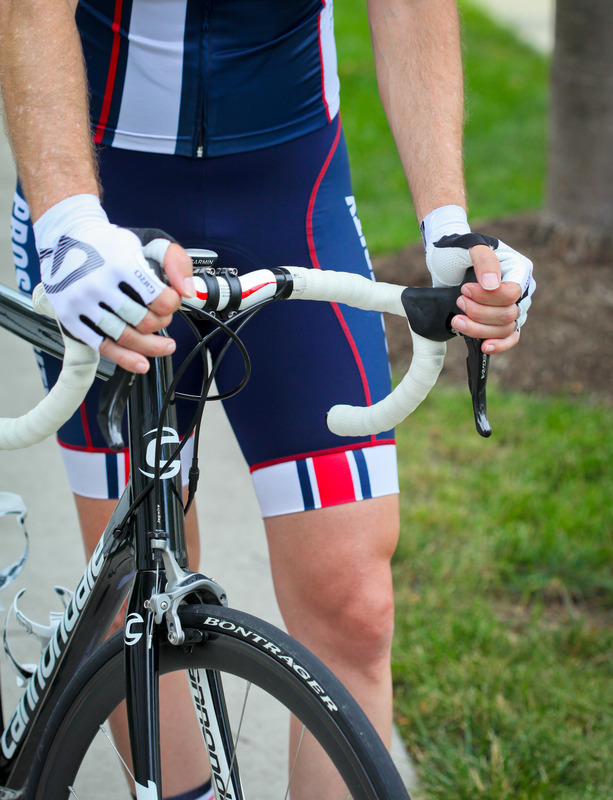 Giro has also applied it to the wrist area in the form of vertical stripes. Unfortunately the silicone on the wrist begins to come off after several uses and washes. The wrist silicone provides aesthetics but no functional advantage. Giro should consider removing it in the next version or ensure that it doesn’t come off after normal use. However, this flaw has not prevented me from loving these gloves. These gloves fit like a second skin. On the bike the LTZs feel great: not too much padding so that you still feel the road, but just enough protection so that your hands don’t hurt on long hot rides. They are super small when off and fit easily into a jersey pocket. If you’re looking for a pair of super light gloves for hot days, these are a great choice. Pros: Great road feel, super fit, lightweight, ventilated, aero, relatively inexpensive and easy to wash.
Cons: Silicone area on the wrist begins to peel after a while. Next PostWhat’s happening in August?